Welcome to the new NEEVA website! Accueil » News » News » Welcome to the new NEEVA website! NEEVA is delighted to introduce you to its new website! On-line since Monday 19th June 2017, the new NEEVA website is better looking, more interactive and more user-friendly! 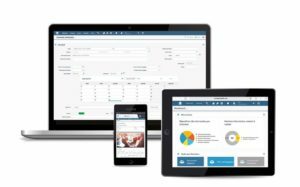 The website was redesigned to evolve at the same time as the latest NEEVA offer: version 5 software launch in July 2017, with a repackaged product offer – with 5 modules instead of 3. The arrival of this new site also signals the outcome of an identity and visual realignment, previously initiated via redesigned communication media. In fact, since January 2017, NEEVA has introduced a new logo as well as a new graphic design. Posté dans News le 10 July 2017 .